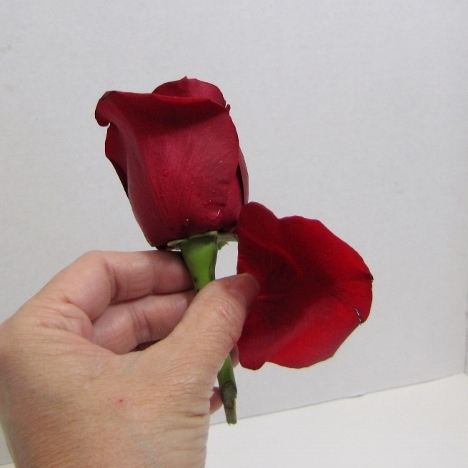 Your roses should feel tight and firm to the touch. 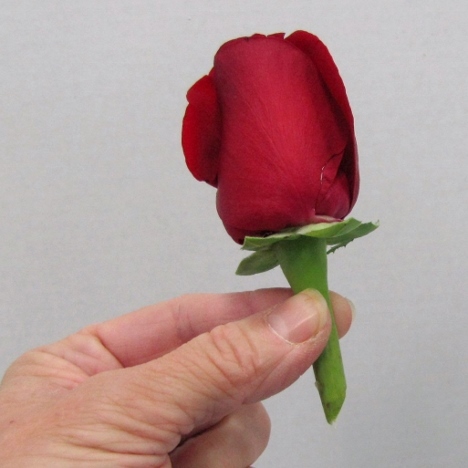 This means the rose is fresh and will last the longest. I cut off excess stems replace with a wire stem to cut down on bulk. 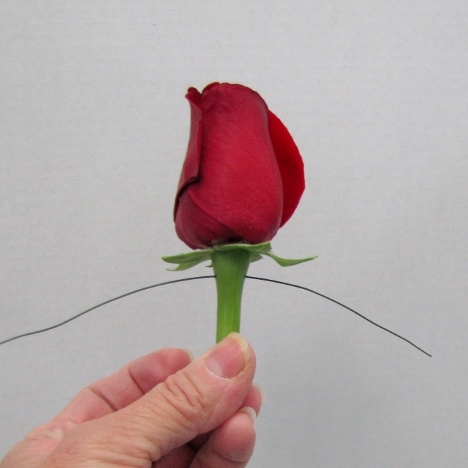 Insert the florist wire directly into the bulb of the rose, directly below the head. You can add an extra wire if you wish. 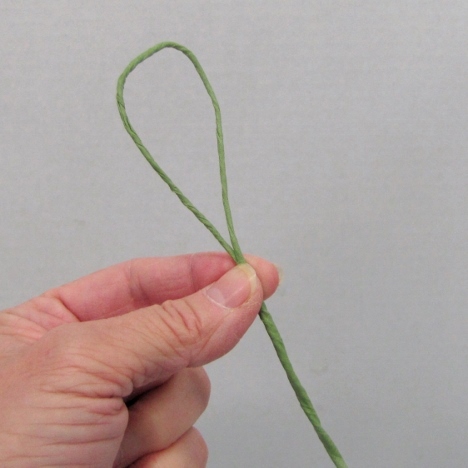 Fold down the wires parallel with the stem. Use floral tape to cover the wire. Start at the very top, directly under the rose head. 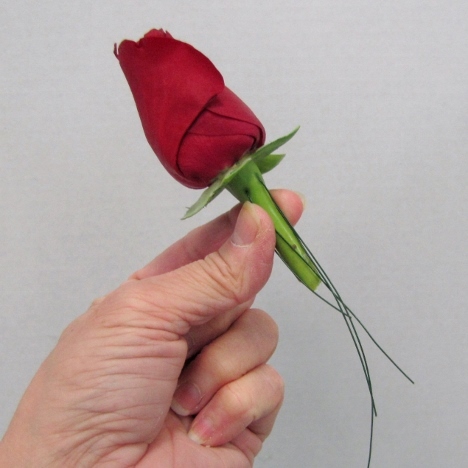 Hold your thumb on the cut end and pull the tape firmly around the rose. When stretched, the tape becomes slightly tacky and will adhere to itself as you wind it done the wired stem. 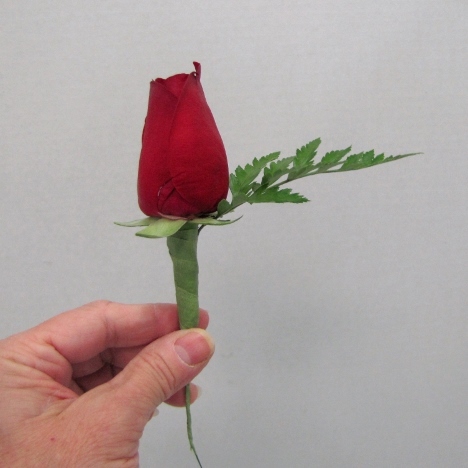 Making rose boutonnieres special can be as simple as adding a mix of different greenery. 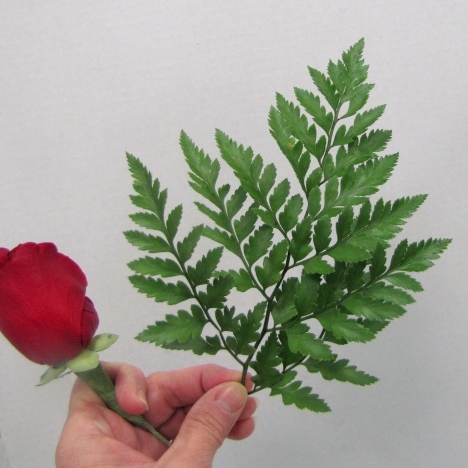 Leather leaf fern is commonly found in every flower shop. 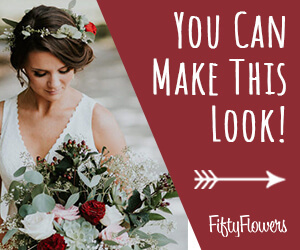 It holds up very well for cut work such as corsages and boutonnieres. I spray my fresh greenery with Leafshine. This product seals the leaf and slows down moisture loss, making the greens last longer. 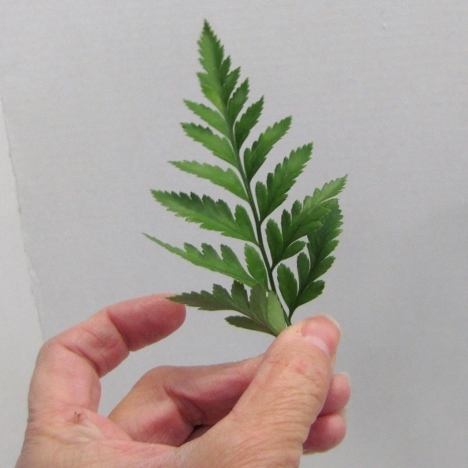 You can easily cut off the individual fronds for use with boutonnieres. 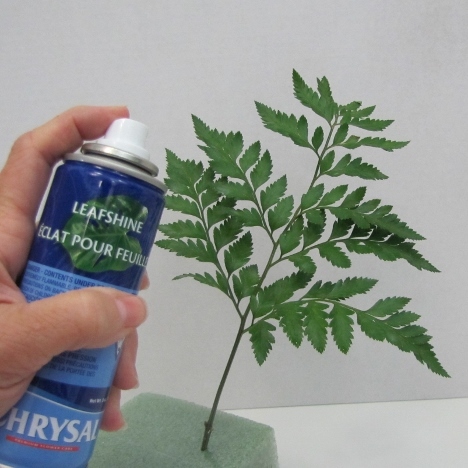 Allow the sealant spray to dry before designing with the leaf. 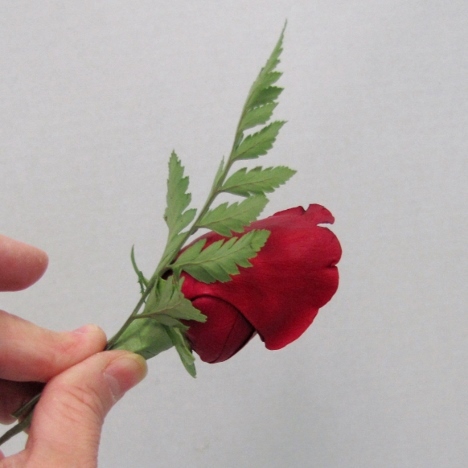 Place a single frond directly behind the rose head so it peeks above the top of the rose. 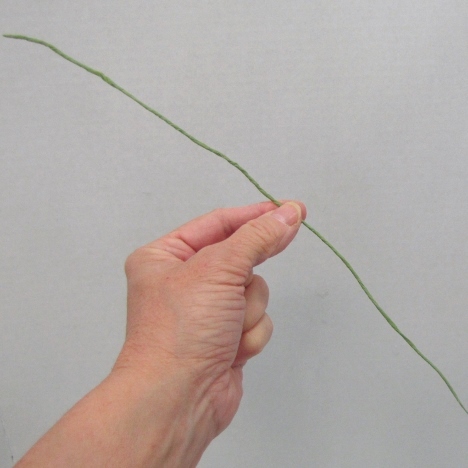 As you can see, this makes the leather leaf stick straight out backwards. The next step will show you how to overcome this flaw. 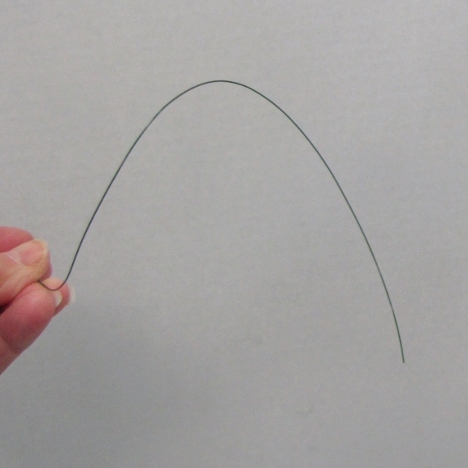 Using 26 gauge wire, you'll find it flexible enough to bend and manipulate easily, yet stiff enough to pierce through flower heads without difficulty. Covering mechanics is the sign of a good floral designer. 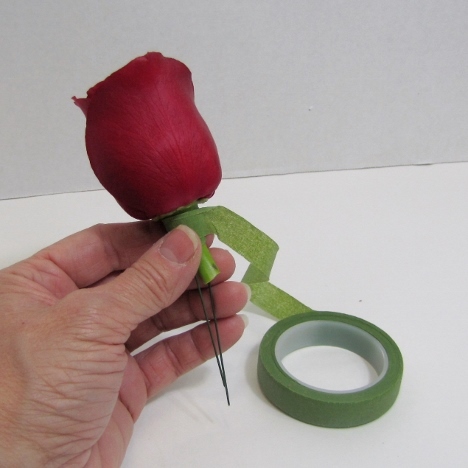 Tape the wire down with floral tape, pulling and stretching as you wind it down the wire. If the tape is pulled tightly, it will cling to itself and not become unwound as you use the wire. 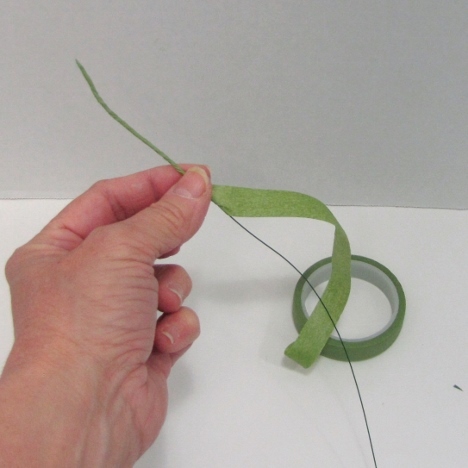 Form an open loop with the taped wire and tape the bottom ends together.